Big sigh! 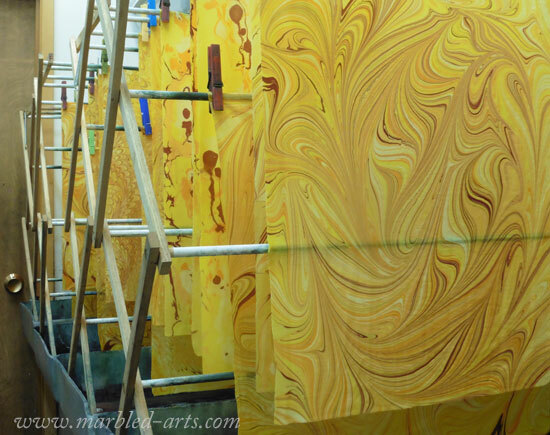 Today was the first day of Marbling in almost a year. A bit shaky at first, then muscle memory took over. Happy Dance is in order. I chose Sun as the first color this year because it makes me happy. You will be able to view the different designs on my website in about sixteen days. Why so long? 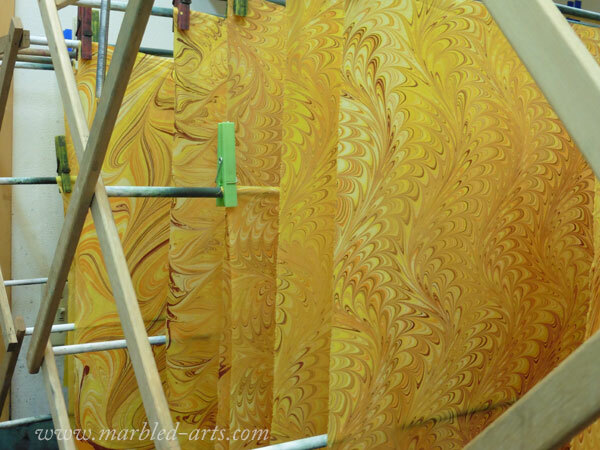 The fabric must cure for two weeks, wash, dry and iron, followed by scanning, watermarking, edit and adding to site. This entry was posted in Creation in Progress, Just For Fun by Suzi. Bookmark the permalink.